AMAZING GILBERT LOCATION!! This one won't last! Well loved -NO HOA! Cozy, spacious 4 bedroom 2 bath floor plan with fireplace, Vaulted ceilings, open great room, wood flooring, Tile, carpet in all the right places Open bright and light kitchen, with bar, with ALL appliances. Oversize master and walk-in closet with an extended DREAM dressing room that can easily be converted back to bedroom. Main bath granite counter step out to a paradise backyard and enjoy! Great for entertaining! 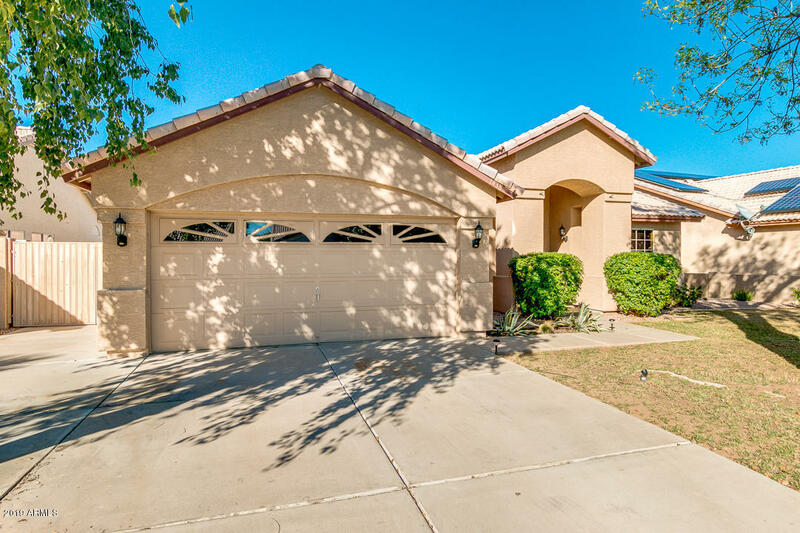 The yard opens to beautiful remodeled heated pool and spa, nicely done extended patio to lush vegetation, walking paths and parks Close to downtown Gilbert, shopping, restaurant', close to freeway. Priced to sell!